GDC 2016: Razer launches new Blade (2016) notebook. 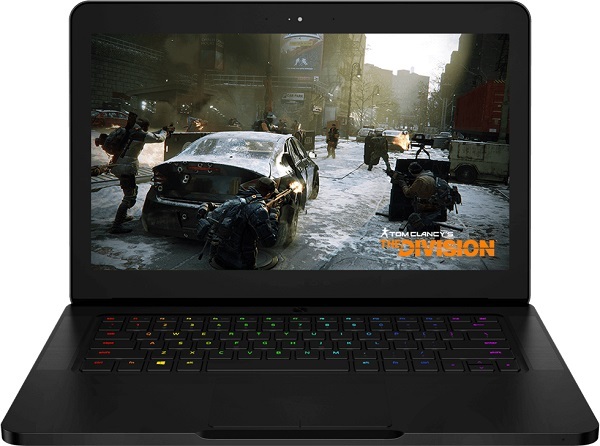 Razer today at the Game Developers Conference (GDC) launched its new Razer Blade (2016) gaming laptop. The Blade's specs have been improved across the board from its predecessor, and it is now more affordable than ever before. The new Razer Blade houses the latest 6th generation Intel Core i7 quad-core processor and an NVIDIA GeForce GTX 970M GPU with 6 GB of VRAM. PCIe SSD technology offers up to three times faster speeds than traditional solid-state drives. Killer Wireless-AC is included. All models will feature 16 GB of DDR4 dual-channel RAM. All Razer Blade models also come with a stunning 3200x1800 QHD+ display. The laptop remains 0.70 inches thin, but now weighs only 4.25 pounds, making it even more portable than previous generations. The 14-inch screen and internals are housed in a CNC-milled aircraft grade aluminum chassis. The Razer Blade - following Razer's Blade Stealth Ultrabook - will be the second laptop in the world equipped with individually backlit RGB keys. Millions of color options for the anti-ghosted keyboard are available thanks to Razer’s Chroma technology. All Razer Chroma products, which include mice, keyboards, headsets and a mouse mat, feature 16.8 million customizable colors and a range of effects such as spectrum cycling, breathing, reactive and more. Lighting effects are enabled through Razer’s Synapse software that allows synchronizing lighting colors and patterns between Chroma devices with the click of a button. The new Razer Blade will be compatible with the Razer Core external graphics enclosure in the near future. Utilizing Thunderbolt 3, the Razer Core will connect to the Razer Blade, providing desktop-class graphics and additional connectivity such as USB 3.0 and Ethernet. Thunderbolt 3 provides remarkable connectivity via the Blade's compact USB-C port at speeds of up to 40 Gbps, the fastest, most versatile link to any dock, display or data device. The Razer Blade gaming laptop will follow the Razer Blade Stealth's direct-to-consumer pricing model to keep costs down. Previously at $2,399 for a QHD+ display, the new Razer Blade now starts at $1,999 (256 GB PCIe SSD) and $2,199 (512 GB PCIe SSD). Pre-orders for the Razer Blade will start today on RazerStore.com. Units will ship in April. Further retail availability will be announced later this year.